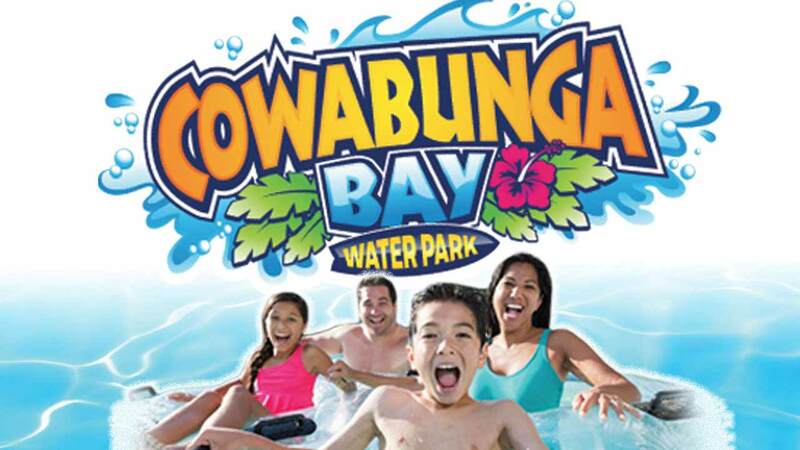 Cowabunga Bay Water Park is home to thrilling water rides, a lazy river, a Kid's Cove and more making it the perfect place for kids of all ages. Cowabunga Bay Water Park is Las Vegas’ premier water park. With wild slides and tons of water attractions, there’s plenty to do. Situated on over 20 acres, this water park is located a short trip from The Strip in Henderson, Nevada. With lifeguards stationed at each ride you can rest assured that this family-friendly atmosphere is the perfect way to escape the Vegas heat. In fact, kids of all ages will love the intensity of their major water slides and water attractions. Sit back and enjoy the lazy river or go on one of their daring thrill rides like the Point Panic or the Breaker 1-9. Make sure to check out ‘Beach Blanket Banzai’ raft ride that can take several riders at once upwards on a conveyer sixty feet before splashing into drops and racing around turns. There’s so much fun to be had at Cowabunga Bay Water Park that you can spend the whole day here or even just come for a few hours to cool off. There’s also a Kids Cove that’s specially designed for the little ones, filled with splash pools and smaller slides. And with a Grille and snack bar, there are plenty of options to eat here including picking up a frosty Dole Pineapple whip, just like the kind they sell at Disneyland.